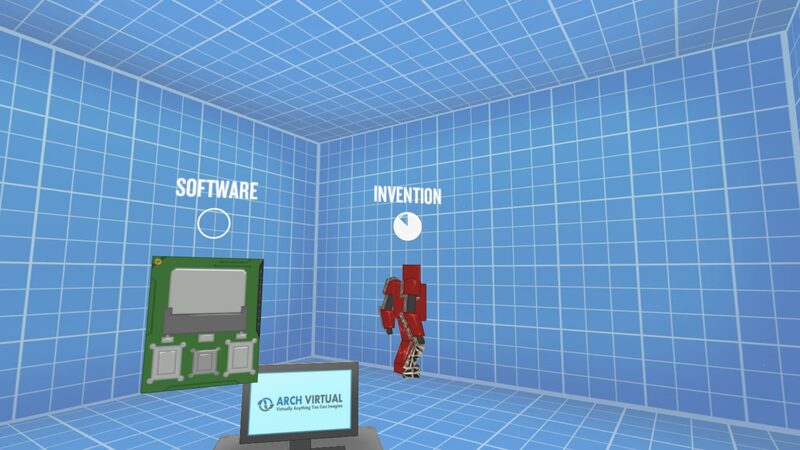 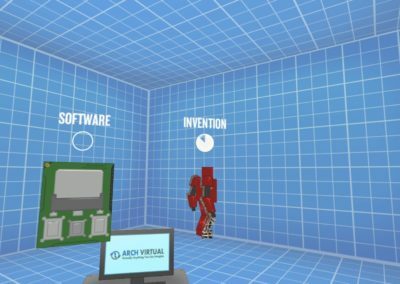 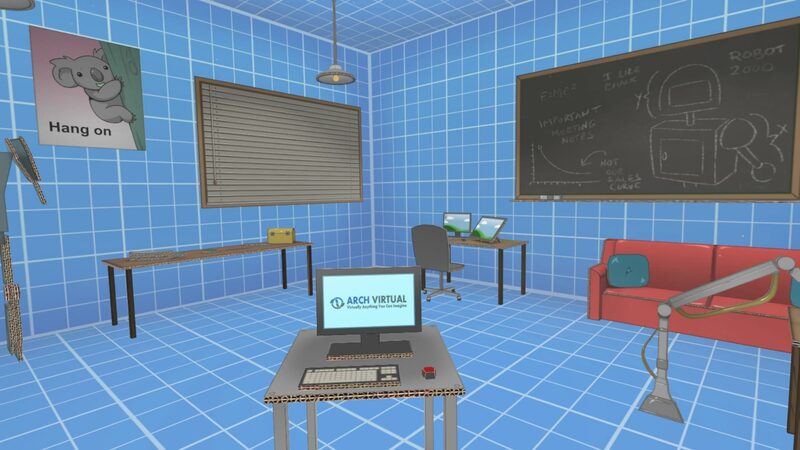 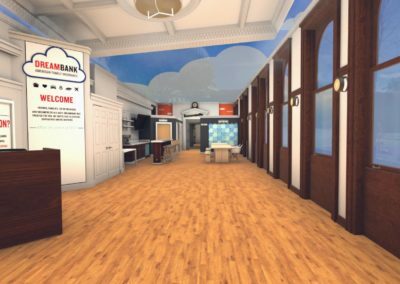 Arch Virtual recently completed an Oculus Rift virtual reality experience for American Family Insurance’s DreamBank, a space designed to help dreamers find inspiration, tools and support to bring their dreams to life. 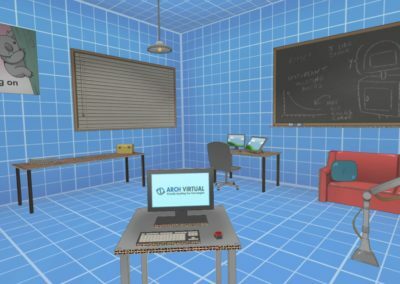 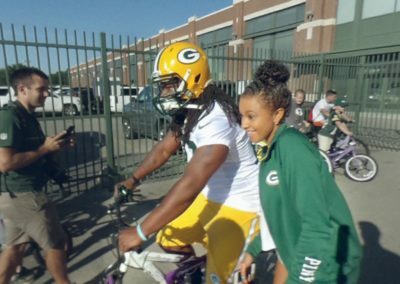 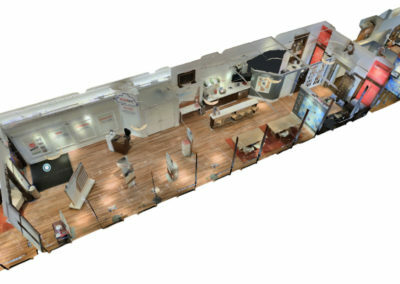 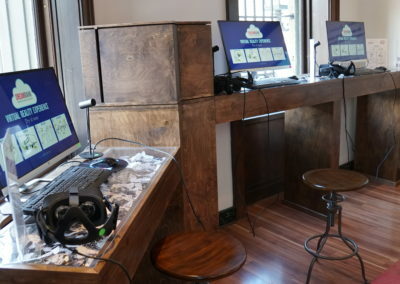 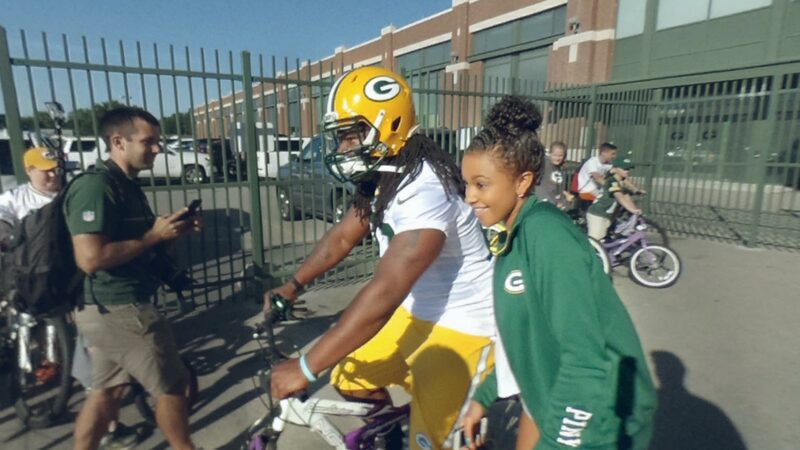 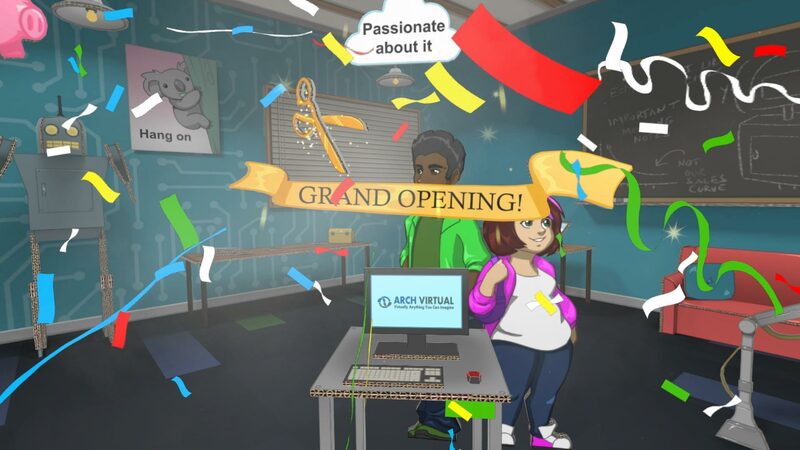 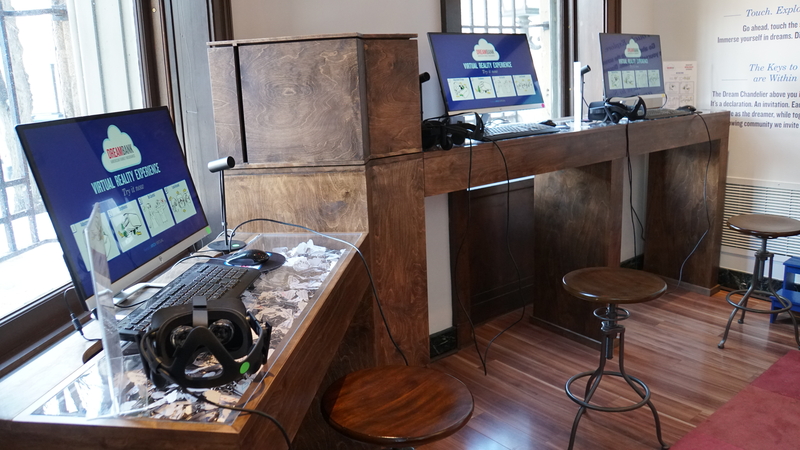 The experience currently includes an animated “Welcome to Virtual DreamBank” experience, a virtual visit to the Green Bay Packers Dream Drive, and a ‘choose-your-own-adventure’ VR experience called “Building a Business,” that enables visitors to make decisions about building their dream business. 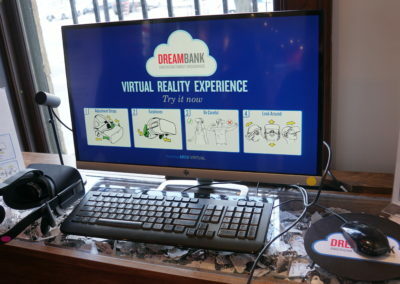 The DreamBank [link] is located in an historic bank building on the capital square in downtown Madison, Wisconsin. 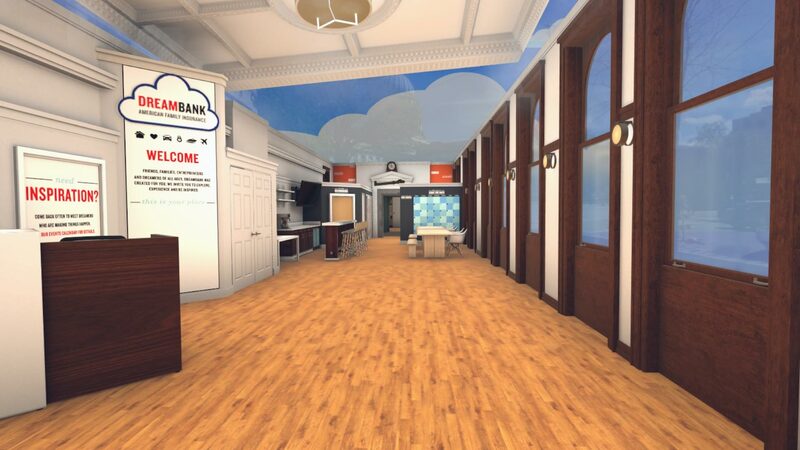 We wanted to create an experience that would build on the character of the architectural space, and reinforce DreamBank’s mission of helping dreamers find inspiration. 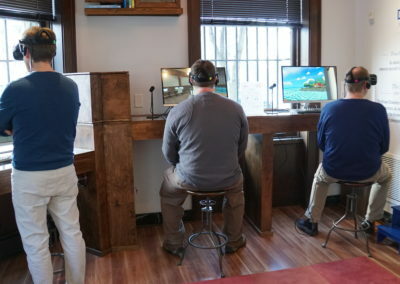 We had an absolutely amazing team collaborating on this project! 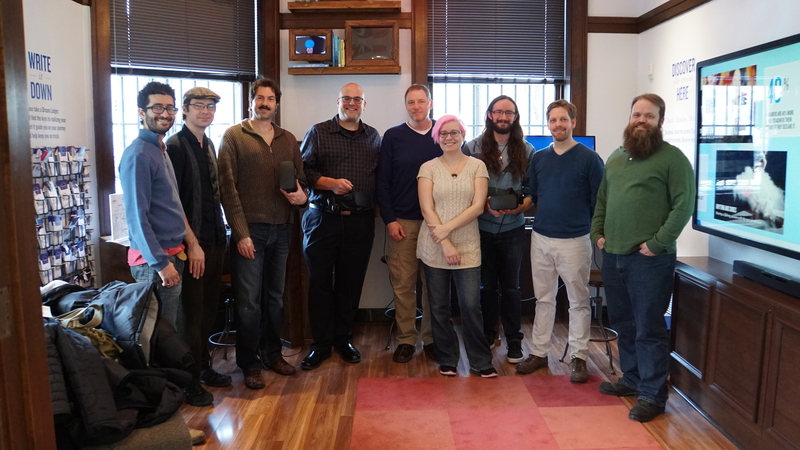 In the image above [left to right], Marco Micelli, Mike Flynn, Brian Pelletier, Jon Brouchoud, Michael Egnew, Danielle Sands, Taylor Michael Ryan, Ryan Huber, Nick Taylor. 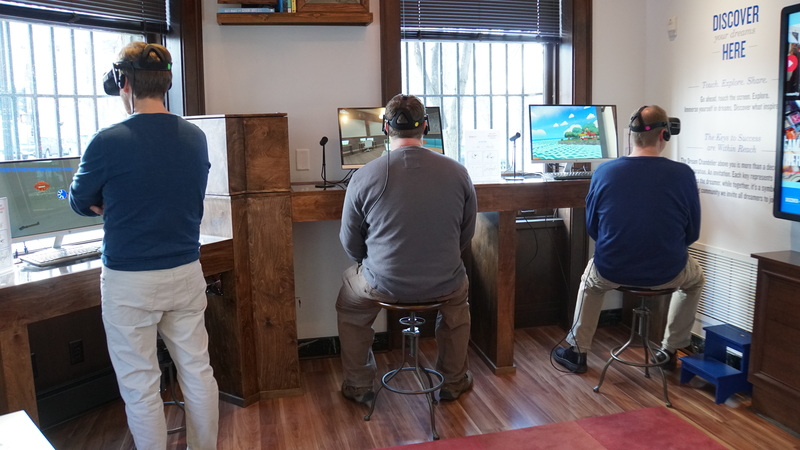 Not pictured: Kandy Brouchoud, Shannon Lory, Robert Mashke, Kevin Schilder, Greg Shives, and Nick Tillman. 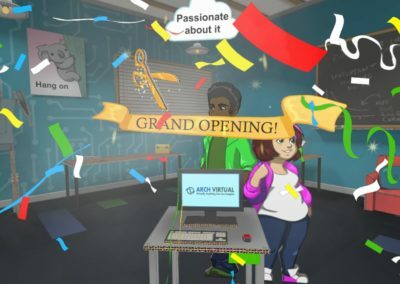 Special thanks to Amanda Tillman from DreamBank for guiding our development, to Chris Rudolph for his input and ideas on the “Building a Business” experience, and to Nicholas Baillies for his voice talents. 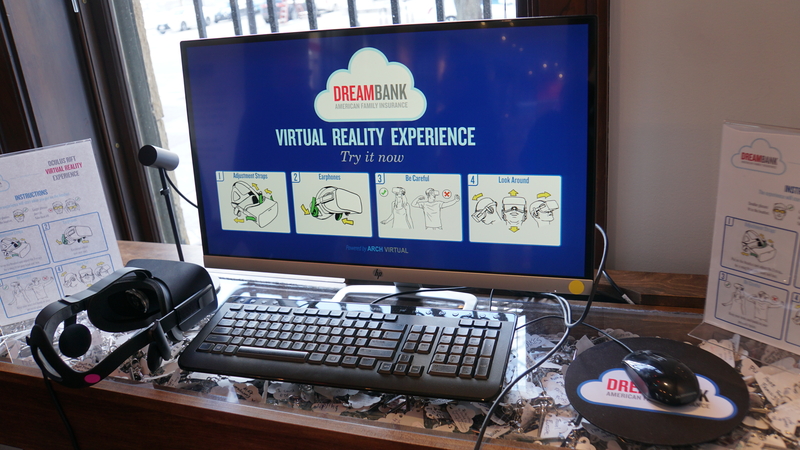 Thanks to everyone who helped take this project from dream to (virtual) reality!